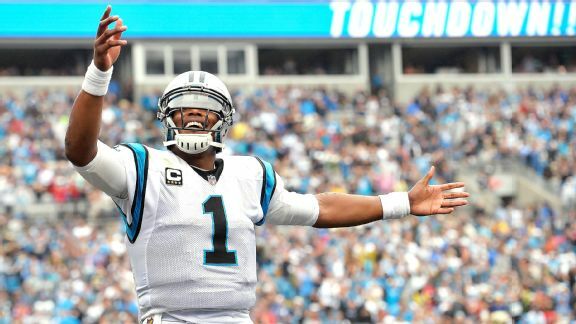 Cam Newton eyes a Super Bowl ring while California has visions of taxing his salary. This Sunday at Levi Stadium in Santa Clara California, in addition to the 75,000 fans at the game and an expected television audience of over 188 million, the action on the field will also attract the attention of tax authorities from the State of California. Non-resident taxation on professional athletes gained national attention in the early 1990s as Illinois passed their retaliatory jock tax informally entitled “Michael Jordan’s revenge.” Illinois’s jock tax was in direct response to Ohio, Wisconsin and California’s taxation of Illinois resident athletes. According to the Franchise Tax Board, the state of California collected over $229 million in tax revenue from professional athletes in 2013 with $54.2 million received from those performing services in the NFL. Since California’s maximum income tax rate is the highest in which professional athletes are exposed, California will always collect more by taxing non-resident athletes than they provide in tax credits to their resident athletes for taxes paid to others states. Since those playing in Sunday’s game are contractually obligated to play for their team, the State of California is able to allocate not only their bonus for the game but also their entire 2016 salary into the state’s apportionment formula. Had neither the Denver Broncos nor the Carolina Panthers played in this year’s Super Bowl, their players will still be allocating their 2016 NFL season’s earnings into the state as both teams are scheduled to visit California twice. Even by not hosting this year’s Super Bowl, California will still generate $869,306 in non-resident income tax from the two team’s four games played in the state next season. California’s gains are North Carolina’s and Colorado’s losses as home states provide their resident athletes with a partial credit for taxes paid to other states. Players on each team would not be hit for the full amount of tax in California as players on each team would receive a partial tax credit on their home states taxes. The difference between the two would be the additional ‘jock tax’ for playing in the state of California. No matter who plays in this year’s Super Bowl, the state of California will collect non-resident tax on those participants. Now with the actual teams known, we can calculate the actual tax revenue generated by the state. By playing in the Super Bowl, both the Denver Broncos and Carolina Panthers have more than doubled the income to be allocated into the state and consequently the tax owed. Since the payrolls for the Broncos and Panthers are different, California tax revenue generated by hosting this year’s Super Bowl will be affected by which team wins. The previous section showed the overall tax liability caused by playing this year’s Super Bowl in California, but what is the effect on individual players? With a Salary of $13 million and an additional $10 million in expected bonuses, Cam Newton’s $23 million income makes him the highest paid player participating in this year’s Super Bowl. It should be noted that even before playing in the Super Bowl, Cam Newton will have earned an additional $71,000 that would need to be added to his earnings. By playing in the Super Bowl, he will receive a $51,000 bonus should they lose and $102,000 should they win, increasing his total wages to a maximum of $23,173,000. Including off season workouts, training camp and post-season games, Cam Newton will be employed for 206 days next season. With the Super Bowl this week (seven days) and the two games they are scheduled to play in California next season (three days each), a total of 13 days will be spent in the state in 2016. In order to find the true impact of playing in the Super Bowl, we need to compare Cam Newton’s tax liability to the state of California before and after allocating the additional bonus and days into the equation. As the table above indicates, the increase in California tax owed by Cam Newton is greatly affected by the seven additional days spent in the state during Super Bowl week, therefore doubling his salary allocation to the state. Therefore, by playing in the Super Bowl – specifically in the state of California – Cam Newton will have increased his tax liability to the state by $95,625 should they win and $95,199 if they lose. Since Cam Newton is a resident of North Carolina, owning a condominium in Charlotte, he will also owe tax on this income in his home state. To avoid the possibility of double taxation, North Carolina provides a credit for taxes paid to other states, which is limited to North Carolina’s tax rate. Since North Carolina’s rate of 5.75% is considerably lower than California’s rate, Newton will still owe an additional jock tax liability to the state of California of $52,715 (should they lose) and $52,956 (should they win). Therefore, should the Panthers lose, Cam Newton’s tax rate of 103.36% will cause his tax liability to exceed his $51,000 bonus. By winning on Sunday, it will lessen the burden to only 51.92% on his $102,000. As the above analysis shows, state tax issues for professional athletes can be confusing and potentially costly. Although Cam Newton represents the most extreme case, all players playing in Sunday’s game will face a similar tax scenario. As well as being liable for California and North Carolina tax, players need to allocate their income into each state and city jurisdiction in which they play. With 20 of the 24 states in which professional athletes play implementing their own version of the ‘jock tax’, it is important to have professional guidance from an individual who specializes in understanding all the unique issues that face professional athletes.